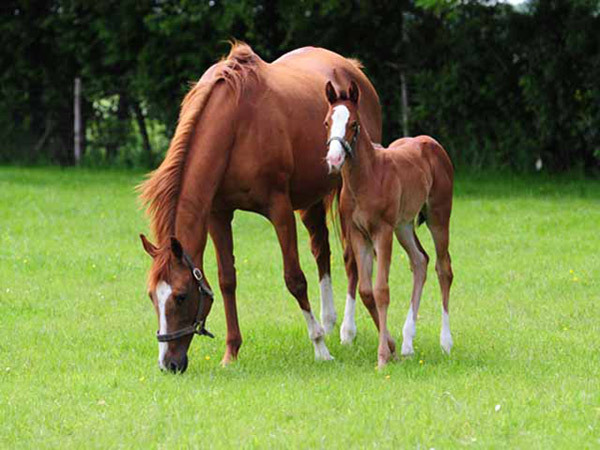 Plantation Farm Stud is a specialist breeding and foaling centre for thoroughbred and sport-horse broodmares; owned and managed by Kate Bandey MRCVS, a veterinary surgeon, and her husband Richard. We are a small, bespoke stud offering a unique service by having an onsite veterinary surgeon. We take mares for temporary and permanent broodmare boarding livery, and we offer competitively priced, all-inclusive stud packages for natural cover, artificial insemination and embryo transfer. We pride ourselves in being able to achieve high conception rates by the individual attention we give each mare.